At the time of writing there are 10 days to go until the date (currently) written in UK and EU law on which the UK is scheduled to leave the European Union on March 29, 2019 – Brexit Day. In anticipation of a ‘no deal’ Brexit, HM Treasury has enabled the FCA (and PRA) to create a Temporary Permissions Regime (TPR) whereby, at its simplest, EEA firms can effectively ‘grandfather’ their passports for a limited period beyond Brexit Day. This blog seeks both to remind EEA firms of the TPR, and the need and method to enter it, prior to Brexit Day (assuming that the current timetable remains), but also to highlight a couple of pitfalls for payments and e-money firms should they leave such notification to the very last moment. 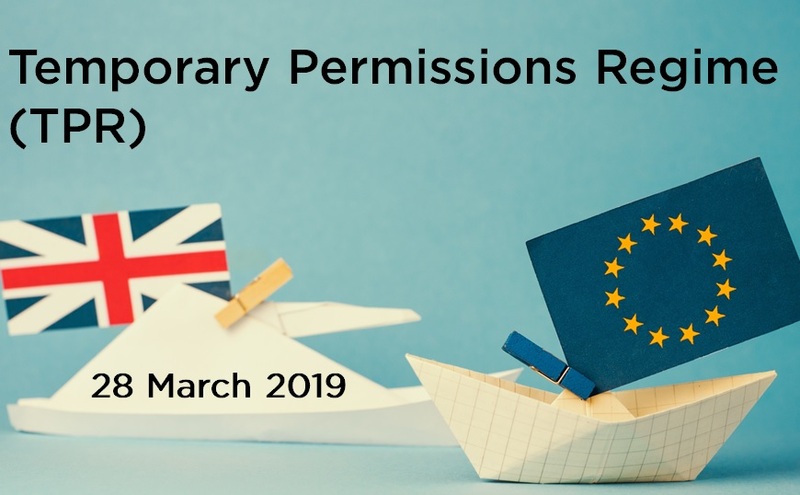 By close on 28 March, firms will need to notify the FCA that they wish to enter the temporary permissions regime using its Connect system. There will be no fee for notifying the FCA for the TPR and firms should not wait for confirmation of whether there will be an implementation period before they submit their notification. Firms that have not submitted a notification will not be able to take advantage of the regime. Firms can find out more about the regime in this short video. The FCA has also published a guide covering the notification process on Connect for firms. Although the FCA has issued this thorough guidance about the TPR – what it is and how to gain entry – there may be a slight wrinkle for payment and e-money institutions, when completing the TPR notification on Connect. Whereas all other of the single market directives e.g. CRD, MiFID, IMD, saw inwardly passported firms added to the Financial Services Register, and given a ‘Firm Reference Number’ (FRN), the volumes of passported firms expected under PSD and 2EMD were forecast to be such that additional investment in development of the underlying systems was considered by the FSA not to be cost-effective. After all, under PSD (and now PSD2) and 2EMD, ‘registration’ (i.e. the adding of a firm to the local register) is the responsibility of the home state competent authority. As a result, correctly notified incoming EEA firms passporting under PSD2/EMD2 cannot be found by searching the Financial Services Register. The point is that the Connect form requires firms to input their FRN. So then, how do payment/e-money firms know their FRN? It may be that, having been correctly notified, they have received some subsequent communication from the FSA, setting out their FRN. It may be however that such communication has been ‘filed’ and is not to hand. In which case, the firm should contact the FCA’s Contact Centre, in order to find out their FRN. Bearing in mind that entry into the TPR is contingent on making a valid notification before close on 28 March, impacted firms are advised to find their FRN now, to make the notification in good time. All of this may be moot, should the continued parliamentary frustration of ‘the deal’ impact Brexit Day, or Brexit itself. Assuming though that Brexit does take place on 29 March 2019, then those firms within the TPR will be able to continue to operate for a limited period, after which they (or, more likely, a subsidiary) will need to seek direct authorisation from the FCA. As always, we would advise impacted firms to start their planning sooner rather than later. Should you require support in compiling your application for authorisation, please do get in touch.